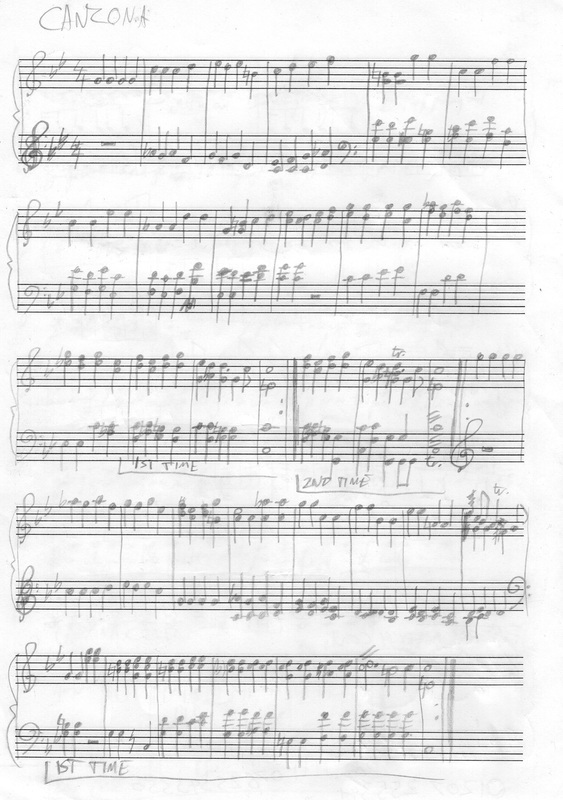 If you have a handwritten manuscript you would like to transform into a professional-looking printed musical score, just email pitchperfectmusic@live.co.uk and a postal address will be provided for you to send it to. Alternatively, scan your manuscript (make sure nothing is "cut off" any of the edges) and email it to the above. You can choose to have your music engraved using Sibelius software (recommended for publishing and professional use), or Musescore (a slightly cheaper option, still with professional-looking results - recommended for personal and less formal use, performances, or those on a budget). The result will be sent as a downloadable, printable PDF file - or, if you prefer, a printed version posted to you. Please also provide a postal address so that your manuscript can be returned to you (this will be sent via recorded delivery, and you will not be charged extra for this in the UK - you will only be charged if you choose to have your completed work posted back to you as well). If there is anything you would like to edit or change about your manuscript, or if there are any other specifications, please make this clear in your enquiry. I have typeset two symphonies - of which this is an excerpt from No. 9 - by the late composer George Lloyd, from his original handwritten manuscript into standard typeset notation, using Sibelius. With permission from William Lloyd. Symphony No. 9 ©George Lloyd 1969. 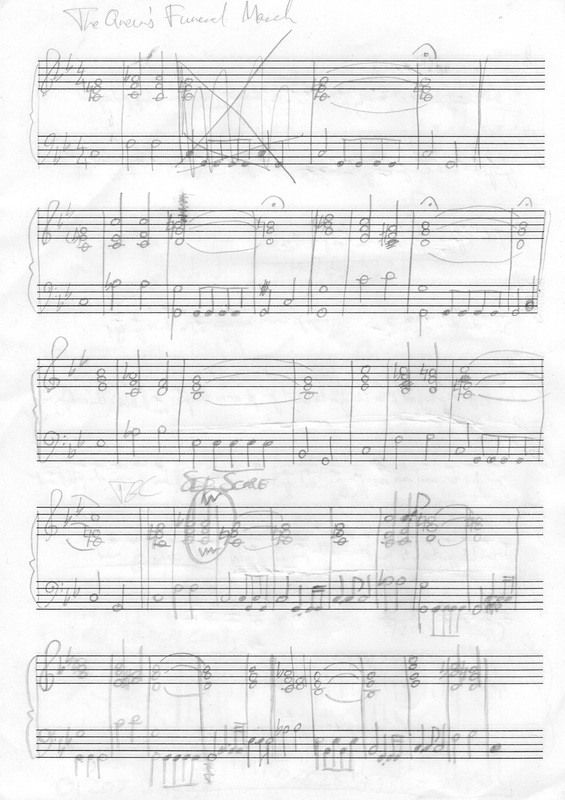 I have engraved my rough handwritten manuscript drafts of my own piano arrangements of Henry Purcell's March and Canzona for the Funural of Queen Mary, using Musescore. I charge per hour of working time. Approximately how long a piece will take to engrave/typeset is determined by: complexity of the piece (complexity is determined by clarity of the manuscript, how many instruments are involved, and number of staves per page), how detailed the client would like the score to be (level of dynamics, articulation, chord names and so on), and any repetition in the piece. Clients' budgets are taken into account, and I am usually able to work to accommodate these needs.